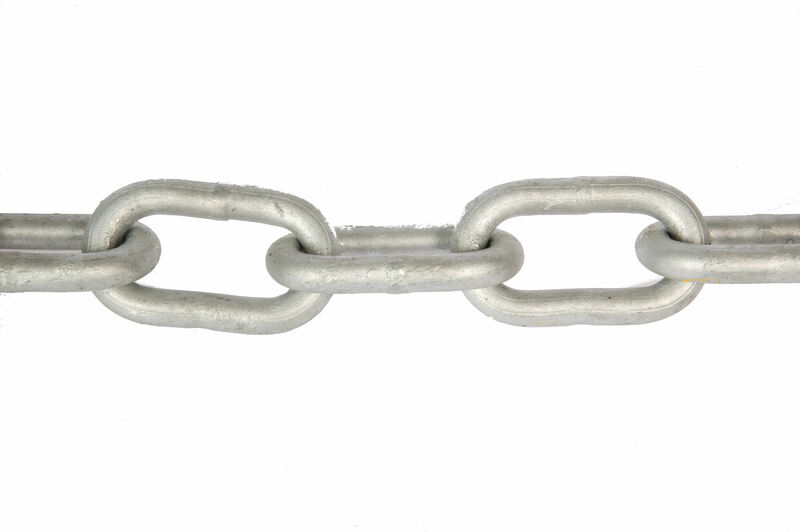 Mild steel galvanised short link chain can be used for suspending and anchoring applications. Suitable for static - non-lifting applications. 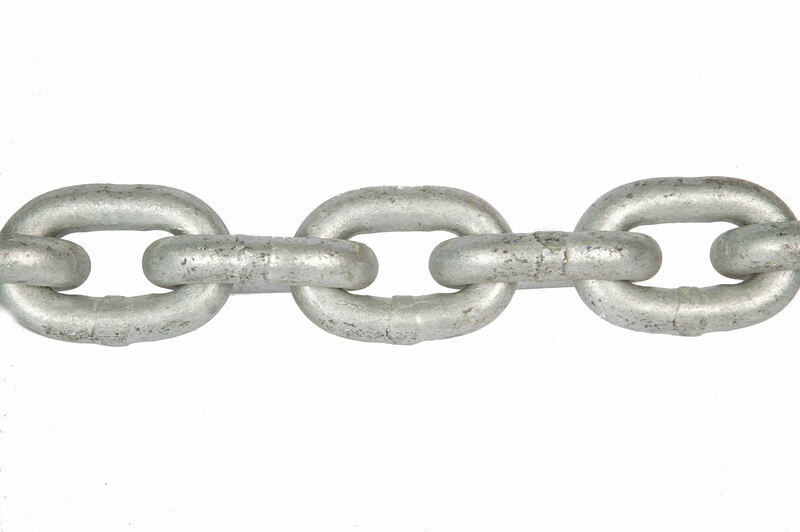 Offers a lighter self weight than the short link, with longer links allowing for easy attachment of shackles, quick links and carbine hooks. Suitable for static - non-lifting applications.